Electronic Shimano – Final version? Belgium Knee Warmers are very close to what we will see late this year during the shows. The derailleurs have not been modified from the version we presented in August the last year. Regarding the shifters, they do not really evoluate either. However, we notice the release lever is slightly lightened. 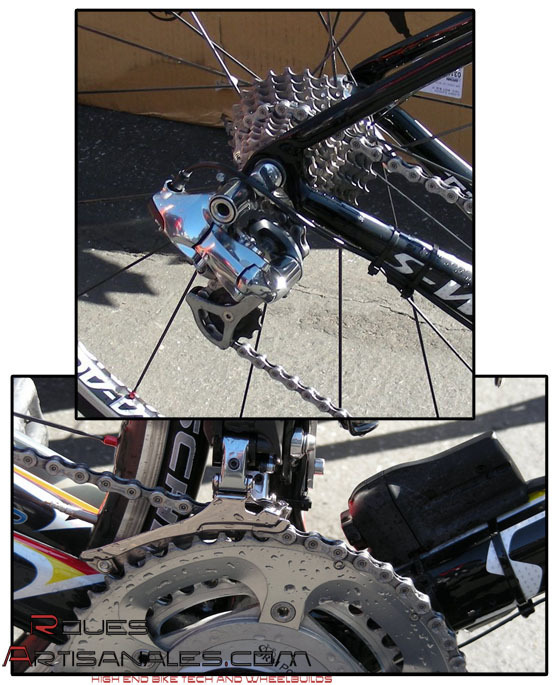 Notice the derailleur housings are under the bar tape.